Whether the goal is to change your Android ringtone to match your personality or to unearth a gaggle of new sounds and ringtones to assign a unique tone for each of your favorite contacts … you definitely need an app! Since not all apps are created equal, we tried and tested the top apps, those that are currently trending and few of the weirder ones (just for fun) to compile a list of the Top Five Android Ringtone Apps. Each of the apps recommended is from a reputable developer, has a minimum of one million downloads to date, a quality rating of at least 4.2 (out of 5) and none of them blast ads every 20 seconds making it so annoying that you immediately delete it. This robust app has been reviewed and chosen time and again as the best app in its category by media giants like Time Magazine and CNET, so you know you can’t go wrong. It is the most trusted source for free high quality ringtones, alerts and sounds, HD wallpapers and device optimized live wallpapers. It even helps to find the best games from Google Play. 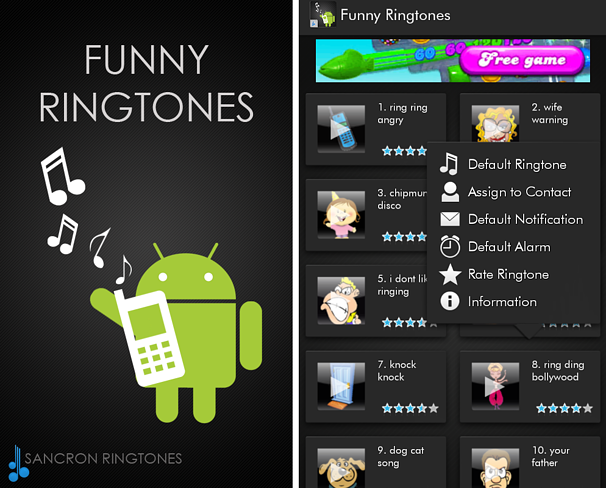 Touted as the ‘funniest ringtone app in the Market’, you will definitely find a tone that brings a smile to your face every time you hear it. 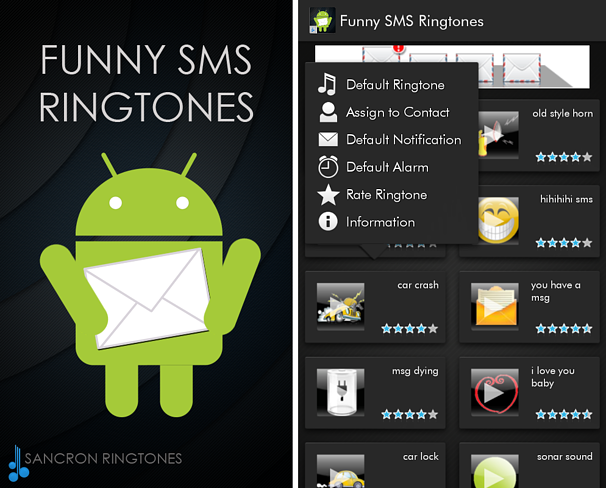 The app currently contains 54 funny ringtones and sounds for either SMS or calls, all of which are high quality and loud enough to taunt your neighbors! The current version has reduced ads and a favorites feature to make it more enjoyable. With everything under the sun from Bollywood sizzles and the chipmunk dance to the craziest sounds around, you are sure to love this app. From the same developers as #2, you’ll find the user interface simple and straightforward and the social rating system fun to use. These sounds are ideal to assign a unique sound to inbound Voxox messages and SMS. We love them because they upload new high quality content almost daily! 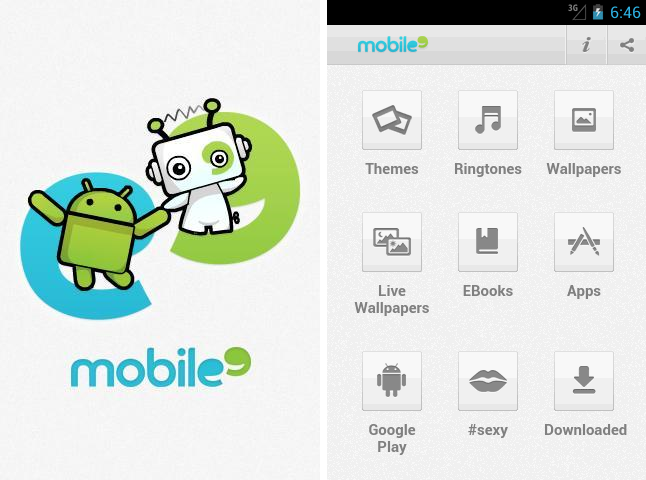 You’ll love them because they pack two million high quality ringtones, wallpapers and themes into one good looking app! The clean design of Mobile9’s user interface makes it easy to find exactly what you want … the most personalized phone imaginable. 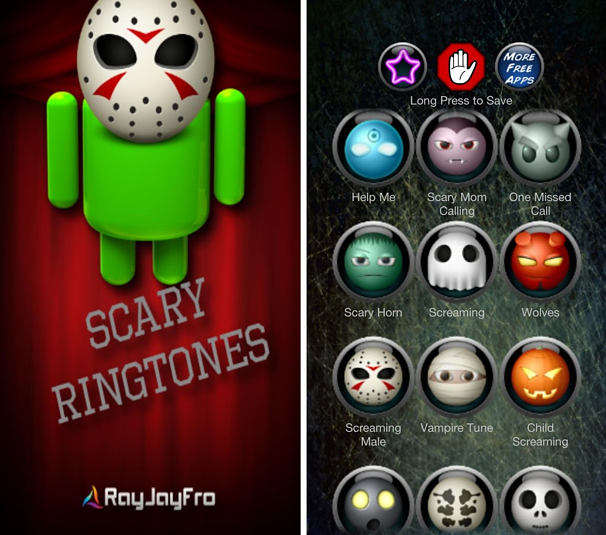 Scare the heck out of anyone with these crystal clear and oh-so awesome ringtones and scary sounds, perfect for alerts, text message sound, incoming email and as your ringtone! It wins our vote for coolest iconology and originality. With everything from ‘scary mom calling’ and ‘creaky door’ to ‘terror screams’ and someone pleading ‘help me’ over and over again, you’re bound to grab attention with these sounds! BONUS! For the lovers out there, install Romantic Love Ringtone by DreamRing and give that one special someone (or if you are Don Juan, several special someones) their own romantic ringtone to show you care. It’s not the sexiest looking app but it will surely put you in the mood for romance. 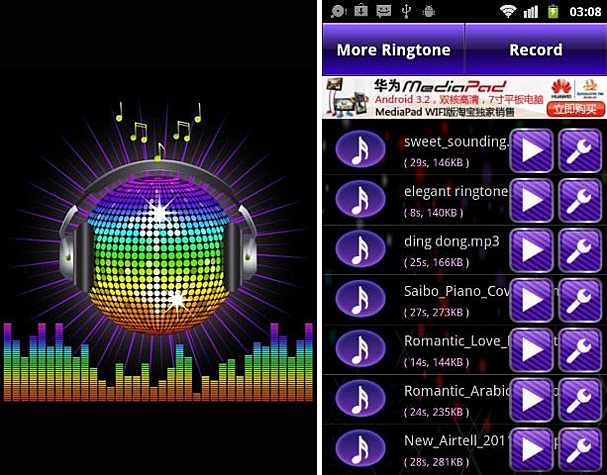 Those are our top picks for the best Android ringtones available today, guaranteed to take you from ‘default ringtone’ to an instantly personalized sound experience.